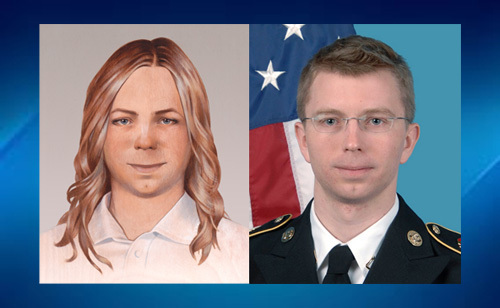 Apparently, the US government is not done making an example of whistleblower Chelsea (formerly Bradley) Manning. Today, Manning’s lawyers revealed that their client is facing numerous “disciplinary” infractions and a hearing on Tuesday will decide whether she is sent to solitary confinement, possibly for the duration of her sentence. Manning was sentenced to 35 years in prison in August of 2013 after being convicted of 20 different charges related to her leaking of classified information. Her leaks blew the whistle on a variety of bad acts committed by the military during the Iraq and Afghanistan war, including an incident where American soldiers opened fire on unarmed journalists from a helicopter. Additionally, she exposed that the estimated “civilian casualty” numbers being publicized by the US government was intentionally falsified to conceal just how many non-combatants our military had killed. Obviously, these leaks were extremely embarrassing for the government and they needed to make an example of Manning to make sure that potential whistleblower in the future were less likely to act. During the three years Manning spent in the brig awaiting trial, the military police held him in conditions that many called torture—they took away his clothing, prohibited him from exercising, kept him under constant supervision under bright lights, constantly moved him between cells, and denied him reading material. In fact, their treatment of Manning was so extreme that the UN special rapportour on torture formally accused the US government of torture and a military judge ruled that Manning was due 112 days off of his sentence because the military held him in illegal conditions. Manning’s 35 year sentence is unbelievably harsh, even if we discount the fact that Manning performed a service to our nation and exposed illegal activities. Just to put this into perspective, Willian Colton Millay was caught trying to sell American anti-IED schematics to the Russians (making it possible for them to create countermeasures) and only got 16 years in prison. After she was sentenced, it was assumed that the worst had happened and that the government would let Manning serve his draconian sentence in peace. Unfortunately, this doesn’t appear to be the case. Chelsea Manning is currently facing “indefinite solitary confinement” for numerous infractions and disciplinary violations while incarcerated and may be moved to solitary as soon as next Tuesday. 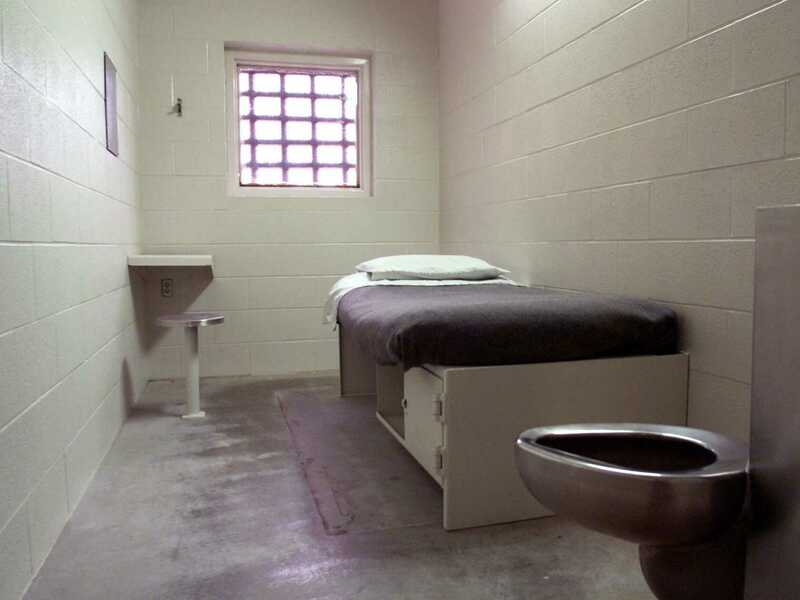 These is what the average solitary cell looks like—imagine spending 23hrs a day here for 35 years. Specifically, Manning is accused of “medicine misuse,” “disorderly conduct,” “disrespecting a prison officer,” and “possession of prohibited property.” While all of these charges SOUND serious, even a cursory exploration of the facts exposes them as nonsensical and an excuse to further punish Manning. The “medicine misuse” charge is in response to Manning possessing a tube of anti-cavity toothpaste that had expired. This is simply absurd, as this charge typically applies to an inmate who stockpiles and either trades or abuses medications. The “disorderly conduct” charge stemmed from an incident where Manning swept food from a table in the mess hall onto the floor. The “prohibited property” that Manning is being charged for possessing is several pieces of reading material, including the Senate Torture Report and a copy of the Caitlin Jenner Vanity Fair issue. The “disrespecting an officer” charge was filed when Manning requested a lawyer to represent her during the proceedings for the other “misconduct” charges. These “disciplinary violations” are being absurdly blown out of proportion and the “disrespecting an officer” charge is just blatantly illegal (even inmates have the right to an attorney). There are really only two possible explanations for these charges, neither of which is in line with justice. The first possibility is that the Fort Leavenworth guards are acting on their own volition and are targeting Chelsea Manning because they have a personal problem with him. This could either stem from his “crime” of embarrassing the government or from his sexual status (anti-trans bigotry is still common in the military). 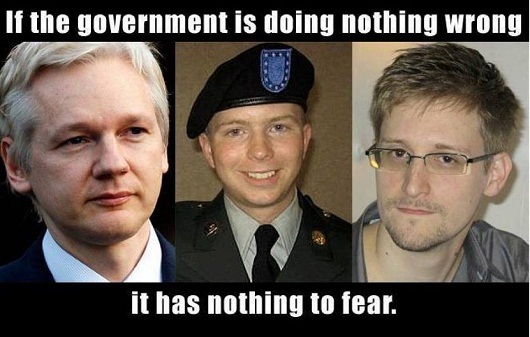 The second, and more likely (given the cooperation of the administrators of the prison), possibility is that the government is trying to silence Manning even further by forcing him into a position that will keep him out of the public eye in the long term. If he is in solitary, he will not be able to talk to reporters and it will be difficult for him to participate in any movement towards greater transparency. Additionally, putting Manning in solitary for thirty years creates a very visible example for future whistleblowers that is a potent disincentive for them standing on their principles—after all, how unbelievably brave would you have to be to leak illegal actions that the government is engaged in if you know that it will retaliate by putting you into an 8×10 cell and segregating you from all human contact until you go insane. Regardless of the root motives for these trumped up charges, the American public must pay attention to this situation. Chelsea Manning performed a service to our nation by exposing the truths about what military was doing in the Middle East and we owe her a debt for this. Even if we cannot secure her release from prison, we cannot stand silent while the military, or a bunch of bigoted prison officials, condemns Manning to a life of torture. The most appropriate remedy for the government misconduct in her case is obviously a presidential pardon. In all cases, whether we agree or disagree with the act, we have to consider justice. …. this is important! The persecution continues … one, on the outside wonders why. And Chelsea Manning is a “high profile” prisoner … imagine treatment to those who aren’t! Keep an eye on this ….. The more I read about the American Justice System and those who are supposedly law enforces, the more I see just how corrupt it appears to be. I hope more exposure of this kind will enlighten more minds and open peoples eyes to who the real criminals are in this world! Prisons are very controlled environments and they try to keep them very controlled and sometimes in that control they really go too far and I think that this is going too far. The maximum punishment Manning could face is indefinite solitary confinement.